This beautiful 3 bedroom house is located within walking distance of the village of Doonbeg, County Clare, only a few miles from the seaside town of Kilkee and Kilrush market town. It is tastefully furnished inside with a welcoming open fire in the lounge, cosy bedrooms and fully equipped kitchen. This home offers an ideal base from which to tour the West Coast of Clare. Enjoy a spot of fishing, golfing or simply just relax. Lots to do for the whole family and a home you will long to return to. Driving Instructions: From Limerick and Shannon follow signs for N-18 to Ennis from there follow Kilrush and Kilkee signs (N-68). Continue on N-68 through Lissycasey approx -8.5km from Lissycasey come to a junction sign-posted Kilmihill and Doonbeg the Crossroads pub on the right continue through Kilmihill village to junction with the R-483 turn right through Cree village and then turn left for Doonbeg continue on R-484 FOR 4 KM come to junction with N-67 and turn left Doonbeg 3km. Walking, Traditional Music 0.15 miles. Childrens Playground ½ miles. Golf, Fishing, Coastal walks 1 miles. Bird watching 5 miles. Swimming Pool, Horse riding, Pony trekking, Aquadome 7 miles. Very friendly and helpful locals’ Pubs and restaurants only a few minutes away where you can expect a session (music) to start at any time. Lovely peaceful hill and beach walks close by and a real golfers paradise. Kilkee beach and superb cliff walks, seven miles. Spanish Point beautiful beach and walk, seven miles. White Strand lovely beach, views and walk, two miles. Lahinch and Doonbeg beaches for surfing. Doolin beach is also close by with traditional music regularly. Doonbeg famous Golf Course three miles away. 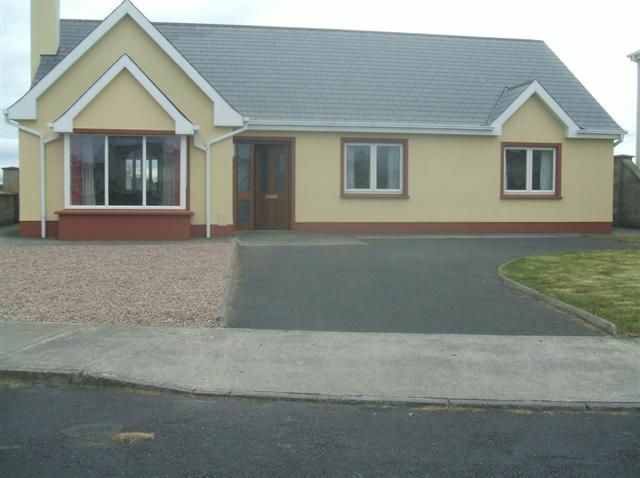 Lahinch, Kilrush and Kilkee Golf Courses are within close proximity.